WHen you get that many, how do you keep them?? Freeze, can?? Picked them last spring. Although I know some people freeze them, I have never froze or canned any morels. They don't last that long for me . . . I find ways to eat them and share them with friends. Fried, mushroom bisque, and mushroom/whiskey sauce for topping on steaks. Some people will season and flour them, then fry them to "half-done" and freeze them that way. I hear of others who dehydrate them before freezing. Thanks for the info. I've never hunted them myself, but had a couple uncles that were stupid about them, but I never got around to going with them. They are gone now, so I regret that, but when you're a kid, that just doesn't sound very exciting. Anyway, I live in Omaha now and it's right on the Missouri River, so I think that river bottom should surely have some. I'm going to give it a look and see what I can find. I have a friend in Ardmore who is pretty much a 'mushroom expert'. He finds hundreds every year, finds all types of mushrooms all year round. He swears by his method... cook them in butter then freeze them. That way they will survive in the freezer. Don't get discouraged once you start. It oftentimes requires many hours over several days, and timing is critical. You may search an area to find no mushrooms, and one or two days later there are hundreds. I liken it to the adult equivalent of an Easter egg hunt. Fun, outdoors, exercise, and rewarding when successful. Oh, and quiet stealth is paramount. If they hear you coming, they sneak back into the ground. Sauteing: Heat the mushrooms in a frying pan with a small amount of butter or oil over high heat. Cook them for about five minutes, or until the mushrooms are fully cooked, and most of the liquid has evaporated. 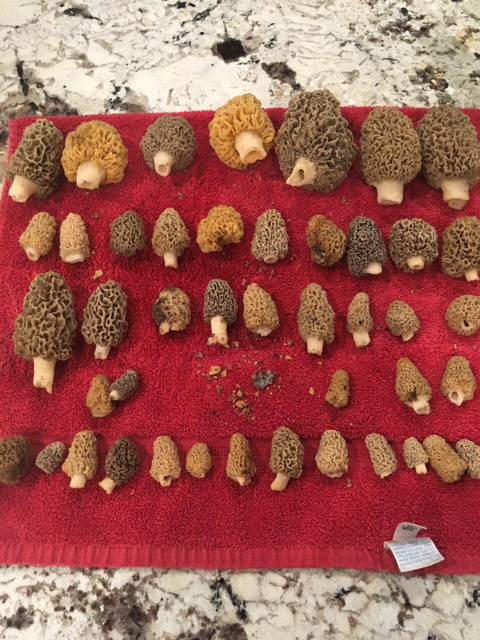 Picked 3 yesterday, here in the Ardmore area, and found many more small 'shrooms. Decided to leave them for about 48 hours. Will go back and pick them tomorrow evening. Wow! Quite the haul there! SW Payne County this morning. My brother found an additional 50. 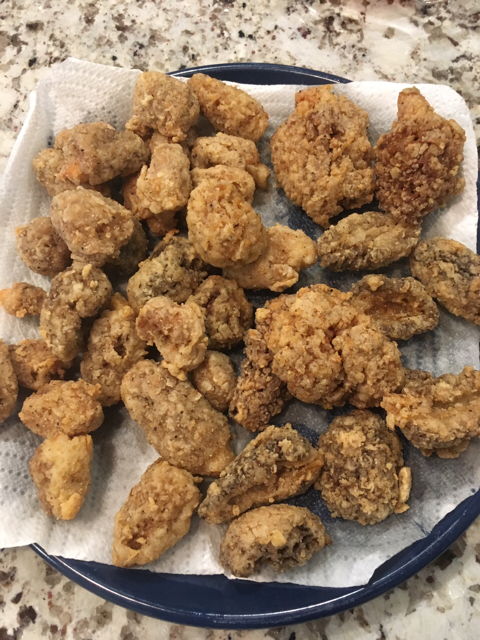 Dredged in flour and bread crumbs then fried. 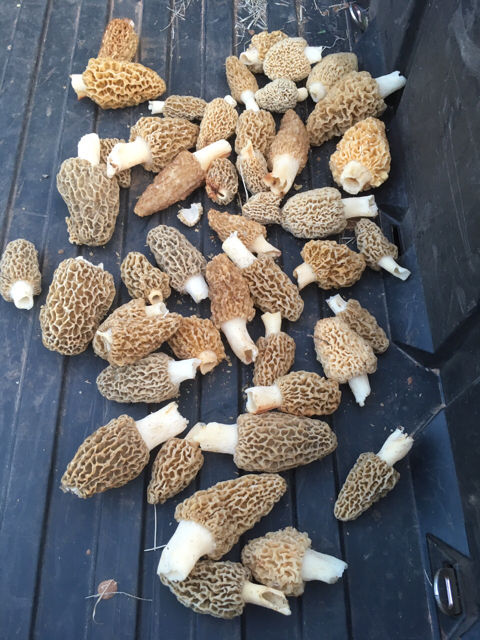 Found some in NE Ok this weekend. None that I am aware of down here in the DFW outskirts. That's just downright immorel. Still finding them in Johnston Co. Found about two dozen the past few days. I *never* find a honey hole, but usually can find 3-4 at a time. Found some pretty dried out ones too. Got about 150 more this evening. Here is about a third of them.